So I was wanting to watch Napoleon Dynamite. 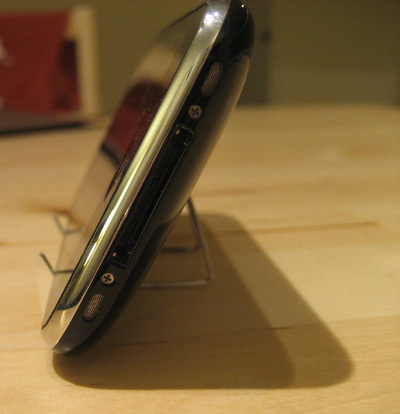 But I didn't have a way to prop up my iPhone. I went online to look for instructions on creating any kind of make-shift stand but all I came up with was some triangle thing made out of a dollar bill and also a retail item called the Bat Rest. The Bat Rest is a great idea... but I wanted something NOW. (Kids these days; they always want instant gratification!). So I tried to make my own bat rest out of scrap cardboard... it was ... full of fail. :( Cardboard was too soft. After all this work, I could have seriously just gotten two strips of scotch tape and taped the damn iphone to the wall or something. But that would've been too easy! 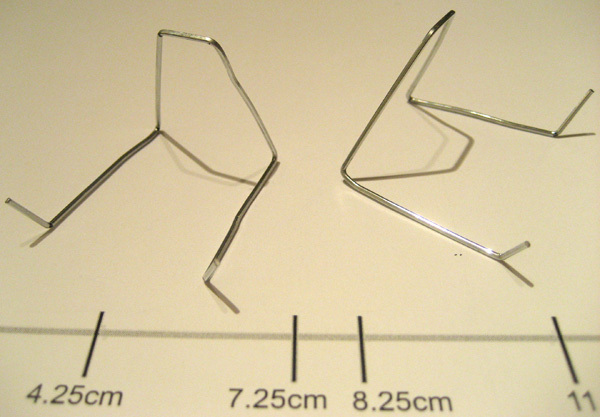 So I look around my desk for other options... oooh PAPERCLIP! Get the template here. Print it out with your favorite PDF reader. Be sure not to stretch the document. If you have a ruler, do a reality check to make sure the document didn't get resized when printed. 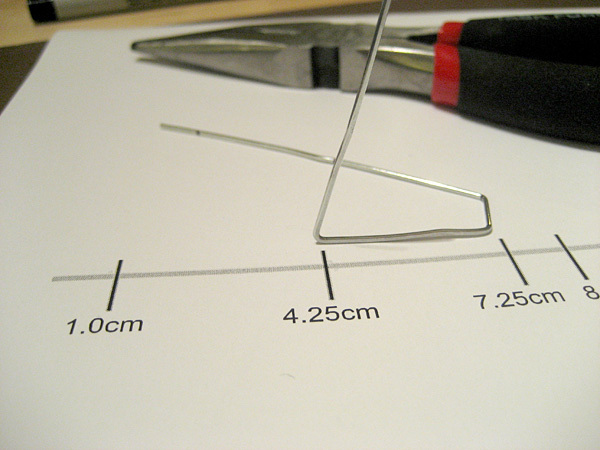 When the paper clip is straightened out, it should be the same length as the grey line in the template. A pair of pliers will make your job a lot easier. 2. 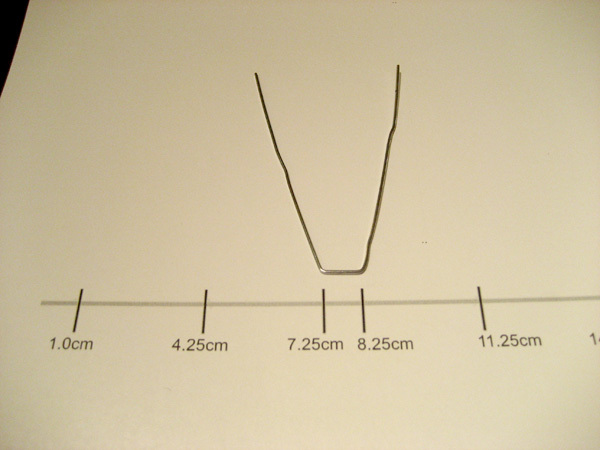 Bend the 7.25 and 8.25cm points. Let's call this the "V"
3. 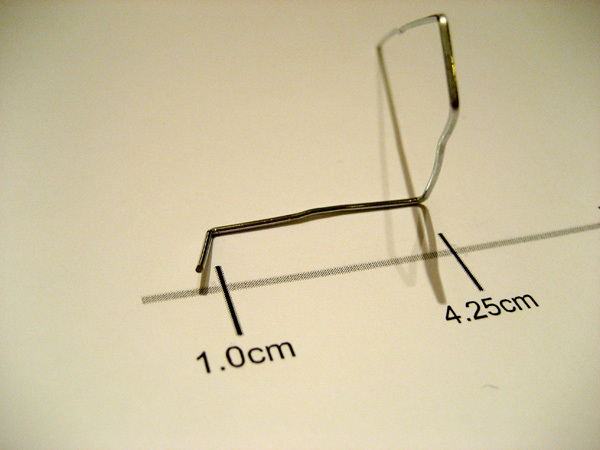 Next, Bend the 4.25cm point. You need to make the bend perpendicular and angled a bit outwards from the "V" Also notice that the bend is an "acute" angle. 4. 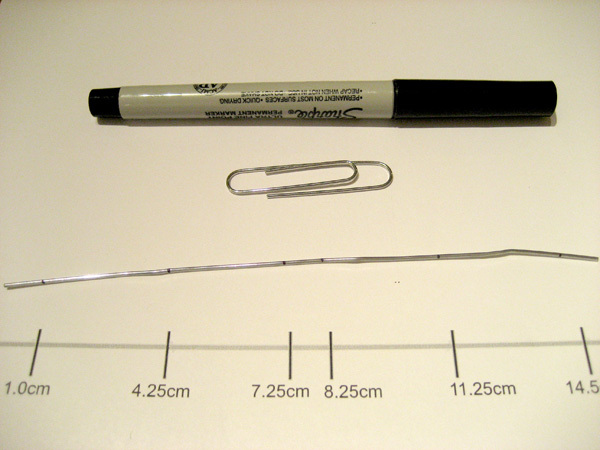 Bend the 1.0cm point for the tip. I'd like to point out the importance of the bend angles. 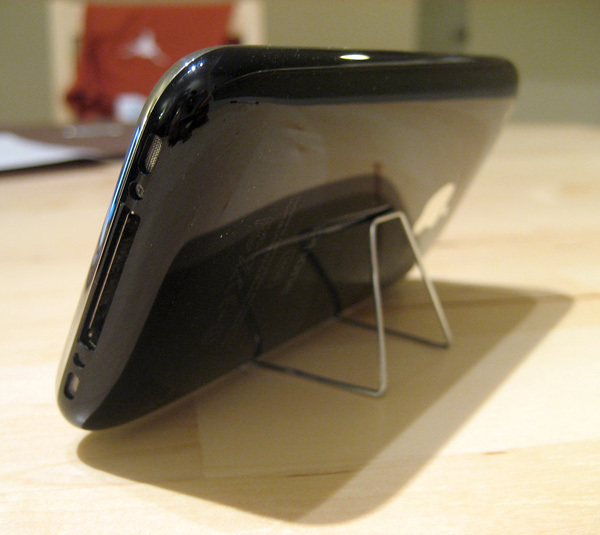 Acute-angled bends from step 3 give the stand the correct support to prop up your iphone without falling over. 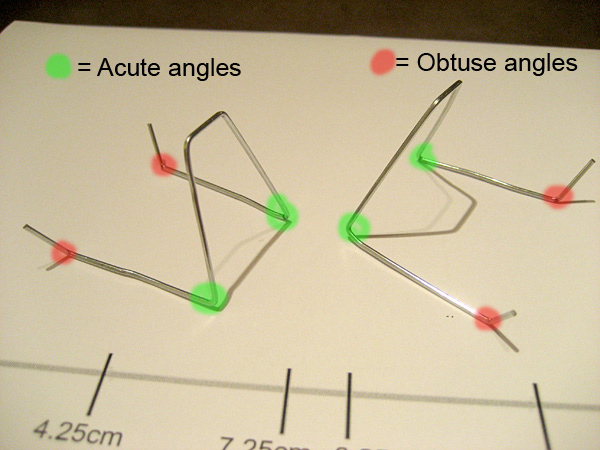 The obtuse-angled bend in step 4 needs to stick out far enough so the tips of the paper clip won't rub against your iPhone and scratch it. 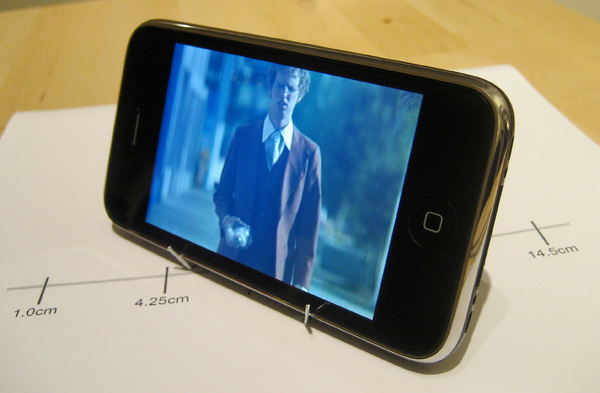 You can play with the width of the stand and/or the green angles to adjust how much your iPhone tilts. That's it! Thanks for reading~!